Abstract: Recently China has won the bid for 2022 Winter Olympics, for which a jubilant atmosphere prevails in the country. This also gives China some pressure on emission reduction since China is a signatory of Kyoto Protocol and such a global event will inevitably attract eyes of the rest of the world on China. In this context, use of Airwheel electric self-balancing scooter might be a good option. Recently, China has won the bid for 2022 Winter Olympics, for which a jubilant atmosphere prevails in the country. According to relevant statistics, China has ranked the second in carbon emissions and thus is faced with a difficult task of emission reduction as it develops, though developing countries are not required to undertake such obligation in the light of Kyoto Protocol. So how can China accelerate emission reduction and show its efforts and contributions before the rest of the world in 2022? Airwheel electric self-balancing scooter may provide a constructive help. As an electrically driven tool, Airwheel self-balancing scooter will not produce any emissions. Someone once carried out an experiment to compare carbon emissions between Airwheel self-balancing scooter and a bicycle. The result shows that scooter is even greener and more low-carbon than bicycle. Besides, it is also featured by low power consumption to the extent that it consumes only one or two KWh per one hundred kilometers. As people understand harms of greenhouse gases, they begin to call on reducing the number of motor vehicles since these vehicles are large producers of carbon emissions. However, it is impossible to completely abandon cars or other motor vehicles for various reasons. What individuals can do is to try to reduce the use of these vehicles or take buses. 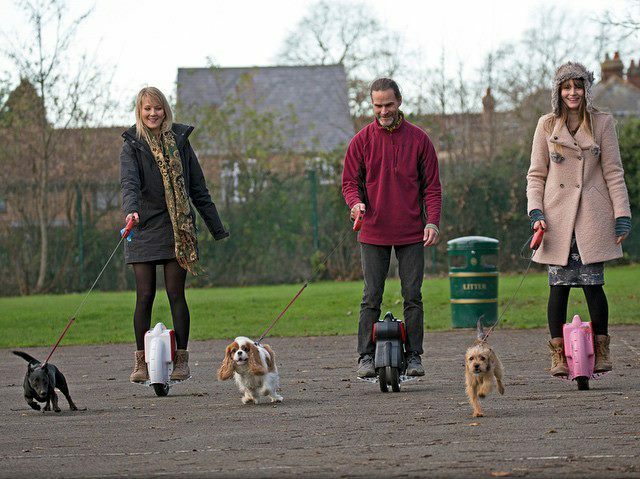 Then Airwheel electric two-wheeler or unicycle could be used between a bus stop and subway station and the home as it is small, light and portable. Riders can choose short-cuts, which cannot be done by cars. Furthermore, riding an electric unicycle for a long time also helps keep healthy. During the ride, the shoulder, spine and limbs can get stretched. So humpback and slight scoliosis can be cured by riding a self-balancing scooter. With the efforts, China is expected to proudly have a different look or at least not to get worse in 2022.